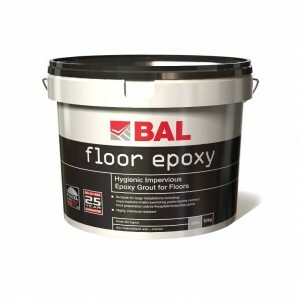 BAL have launched a new improved epoxy grout specifically for floor tiling installations. Available in new Smoke and Ebony colours, BAL Floor Epoxy is a three-part hygienic impervious epoxy resin grout for floors. With a resin-based formulation comprising liquid resin, liquid hardener and powder filler, BAL Floor Epoxy offers numerous benefits for the contractor as it is particularly recommended for large-scale commercial projects. Because the filler is available as a separate component, other colours are available to order on a project-by-project basis* to match your tiles or chosen colour-scheme. Alex Underwood, Head of Marketing at BAL, said: “Hard-wearing and offering high resistance to abrasion and impact, BAL Floor Epoxy providing protection against bacteria and chemical attack making it perfect for installations including food preparation/processing plants, swimming pools/sports and leisure centres, shopping malls/supermarkets, hospitals and industrial/chemical plants. 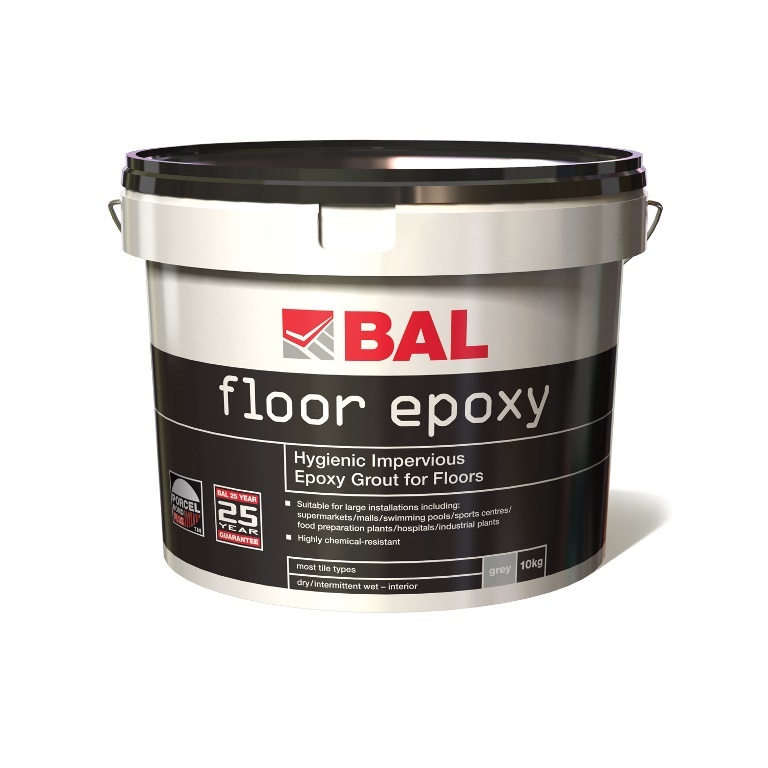 For joint widths up to 20mm, BAL Floor Epoxy cures in 24 hours and has a pot life of 60 minutes, meaning fewer mixes are needed producing cost and time savings. What’s more, it is also suitable as a tile adhesive for chemical plants with metallic backgrounds, and for areas requiring chemical resistance.